Understanding your business financial statements is essential to your success. They are used as a roadmap to steer you in the right direction and help you avoid costly mistakes. Business financial statements have a value that goes far beyond preparing tax returns or applying for loans. We prepare them for you and help you decipher what they mean so you can make informed choices for your business. Proper bookkeeping practices are important to the operation and survival of your business. Without them, your business is open to not only cash flow issues, but potential legal issues as well. 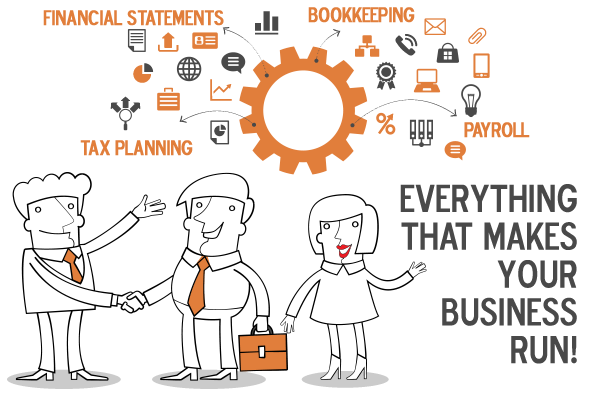 Business bookkeeping has two basic purposes: it enables the IRS to evaluate your operations, and it helps you properly manage your business. Your books make up one very important part of your overall business records and should include all transactions made by your business. As a standard practice, several pieces of information should always be kept in your books and we take this burden off your hands to ensure it's done properly and all transactions are correctly recorded. If you have at least one employee, you are responsible for payroll taxes. These include withholding federal and state income taxes and FICA tax from employees’ wages, as well as paying the employer share of FICA tax and federal and state unemployment taxes. The responsibility is great and the penalties for mistakes make it essential that you do things correctly. At Tony Hutchinson, CPA, we take this burden off your hands so you can spend more time on growing your business! Let's face it, taxes are no fun. As a worker or a business owner, you are responsible for reporting your income to the Federal Government for purposes of taxation, and we all know the forms and regulations are complex. That's where we come in. We'll assist you with all of your tax planning needs (so you can keep more of your money) and ensure you file all the proper forms by the appropriate deadline. A large part of financial planning and wealth protection involves being properly insured. Our staff is licensed to sell life insurance and Medicare supplements, as well as workers compensation insurance. We'll guide you through the options and assist you will making smart decisions for your family and for your business. Copyright 2014-2017. Tony Hutchinson, CPA. All rights reserved, worldwide.